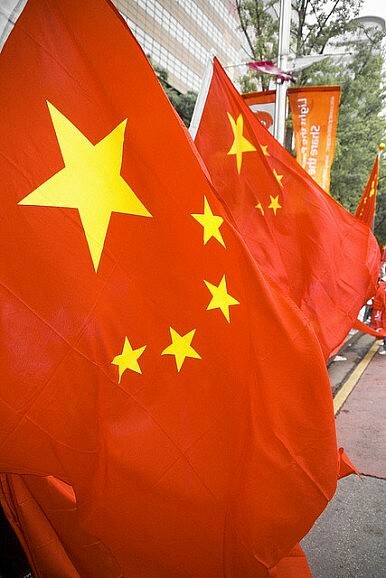 China values its national interests, including sovereignty, over its international image. China’s global image faces challenges — but if asked to choose between its national interests and preserving its national image, China would choose the former. A recent poll conducted by the BBC World Service shows that China’s international image is not that great around the world. Although this year China’s international image is equally divided (42 percent vs. 42 percent) between those who think China’s influence is positive and those who think it is negative, China’s image in Japan and South Korea (two of China’s most important Asian neighbors) is quite negative. In South Korea, only 32 percent of South Koreans have positive perceptions of China whereas 56 percent of them hold a negative perception of China. In Japan the picture is ugly as only 3 percent (a record low) of Japanese hold positive views of China whereas 73 percent view China as a negative influence in Asia. However, China’s image in Africa and Latin America is quite positive. All three African countries surveyed have very high levels of positive views of China, with 85 percent in Nigeria, 67 percent in Ghana, and 65 percent in Kenya. Of all four Latin American countries surveyed, only Mexico has more negative views than positive views of China (40 percent vs 33 percent); the other three countries are mostly positive about China (Peru 54 percent vs. 24 percent; Brazil 52 percent vs. 29 percent; Argentina 45 percent vs. 20 percent). Another interesting finding about China’s international image is that most advanced countries hold negative views of China, with the U.K. (49 percent vs. 46 percent) and Australia (47 percent vs. 44 percent) being exceptions. Especially puzzling is Germany, which only has a 10 percent positive view of China against 76 percent negative views of China. This might not be surprising as most advanced countries happen to be democracies and they are often quite critical of China’s lack of democracy and human rights problems. A natural question that one might ask is “does China care about its international image?” Due to China’s recent assertive actions (here and here) in East China Sea and South China Sea, it might seem like China is not worried about its image among its Asian neighbors. But it is inconsistent with China’s efforts in recent years to enhance its soft power and build a positive national image around the world. Thus, the puzzle is this: if China does care about its international image, why would China behave in a way that hurts its own national image? This is a legitimate question given some evidence showing that many in Asia now see China as a big bully. There are three possible explanations for the seeming inconsistency between China’s national image campaigns and its recent assertive behavior. First, it could be that China does not genuinely embrace the idea of national image or soft power. According to realist logic which is dominant in China, what really matters in international politics is material power; also, soft power often is a byproduct of material power. Thus, the Chinese leadership might have accepted the idea “it is better to be feared than loved” in international politics. If indeed this is the reasoning behind China’s foreign policy in recent years, then it is not surprising at all that China feels little need to promote its national image. The second reason could be that China does care about its national image but the problem is that China is inexperienced or even clumsy in promoting its national image. Indeed, in recent years China has put in lots of resources into its ‘public diplomacy’ which has generated mixed results. Just think about how much money Beijing spent on the Beijing Olympics 2008 to promote China’s positive image. It is abundantly clear that Beijing does want to present a positive and peaceful national image to the international community. Nonetheless, it could well be that officials in China who are in charge of promoting national image are incompetent or there is no coordination between different ministries and actors such as the Foreign Affairs ministry and the military. For example, the Ministry of Foreign Affairs finally released a position paper on the 981 oil rig crisis after a month had passed. Although this is helpful, one wonders why China could not have done it earlier. Now the damage is already done. Also, China has maintained that Vietnamese vessels have rammed Chinese vessels more than 1,400 times, but it would be much more convincing if China could release videos showing how the Vietnamese vessels rammed Chinese ships. There are many other examples like this one, suggesting that China’s public diplomacy needs to be more skillful and sophisticated if it is going to win international public opinion. Finally, China’s neglect of its national image could be explained by a rational choice strategy that puts national interests in front of national image. Thus, China does care about its national image, but it cares more about national sovereignty and territorial integrity. When forced to choose between sovereignty and national image, China will choose sovereignty — and any other country would do the same. As Xi Jinping said earlier this year, China will never sacrifice its core national interests, regardless of the circumstances. Viewed from this perspective, national image becomes secondary compared to territorial integrity. In short, China does make genuine efforts to promote its national image to the international community as long as such efforts do not compromise China’s core national interests. At the same time, China should also realize that there is room for improvement when it comes to the way China handles its national image. More transparency and quicker responses to crises could go a long way in improving China’s communication with other countries. The idea that technological catch-up is possible may be flawed.